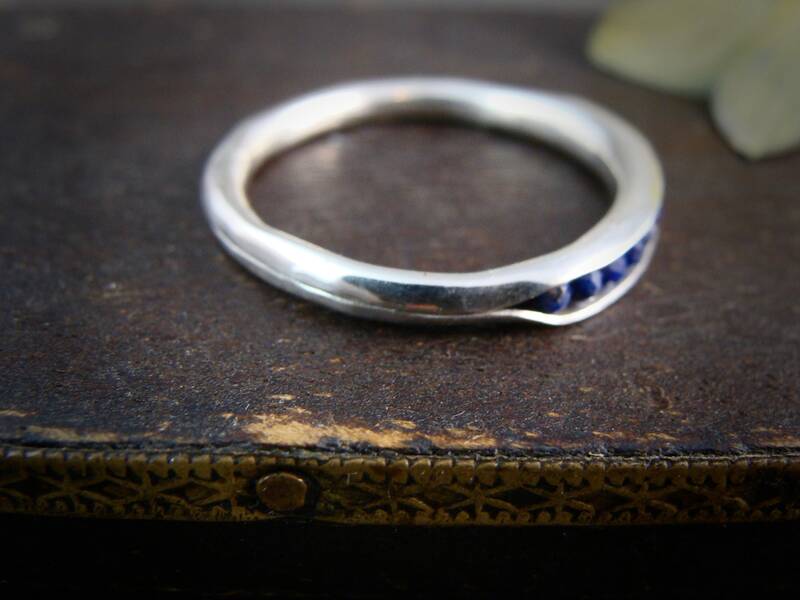 These lapis lazuli gems shine from within the folds of this sterling silver ring. 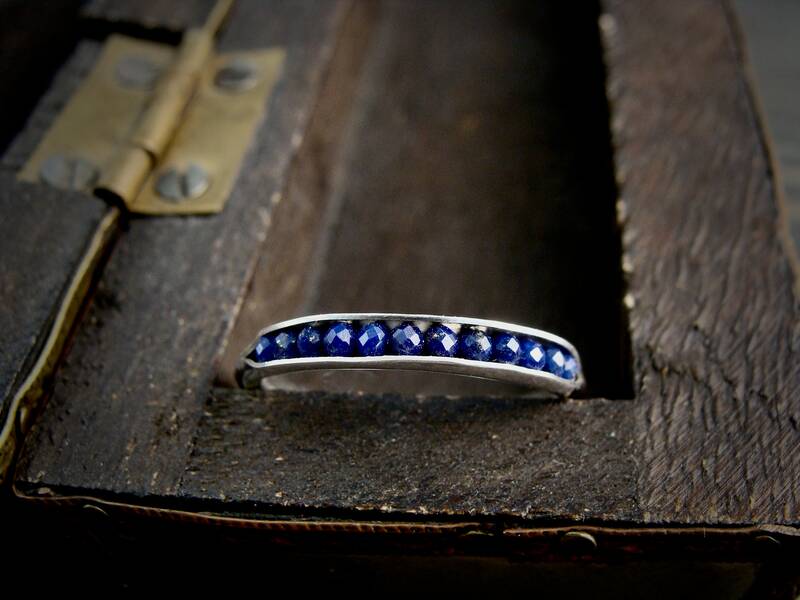 The stones are held securely in place by a sterling silver wire are cradled in the fold of the ring. 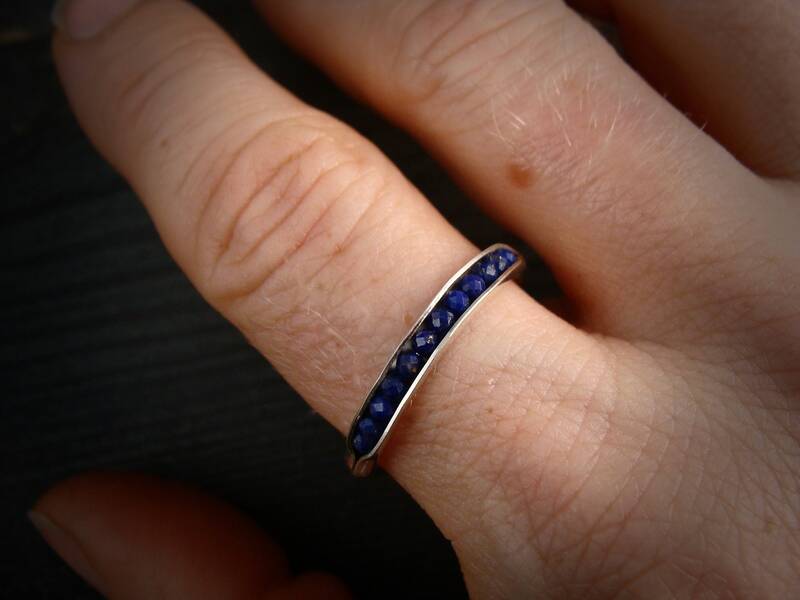 This ring is about 1/4" wide and 1/4" high. 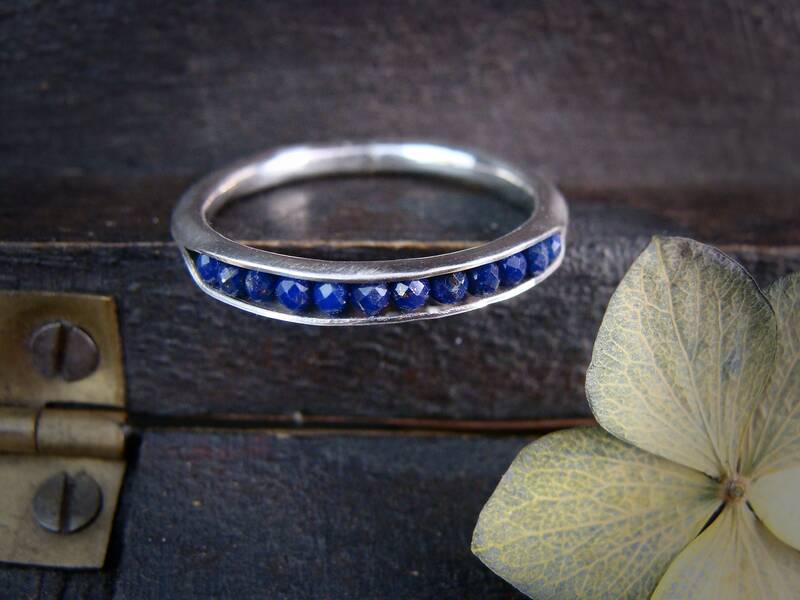 This organic band was lovingly hand crafted by me and looks great alone or with other stack rings. 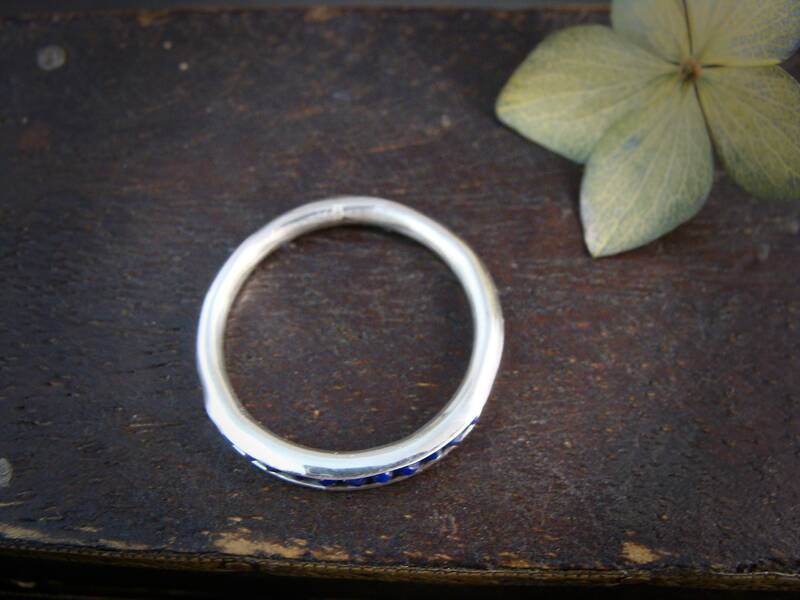 Sweet, simple and perfect for everyday wear. 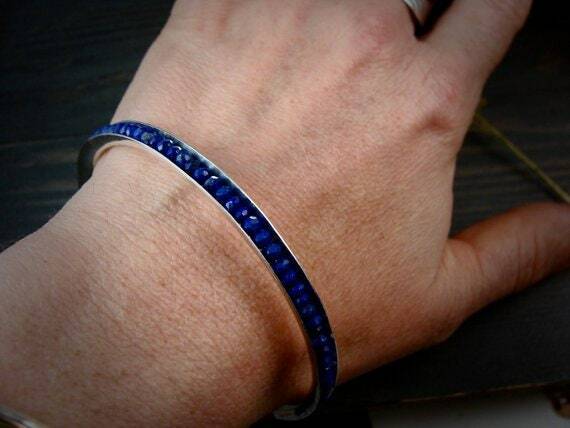 Visit my shop to find the coordinating bangle. ★ Each ring is made to order. Please be aware of production times found in the "shipping" section. There will be a $40. restocking fee for size exchange. Check out my shop and find more unique styles and gemstone options.